ATLANTASmoking rates in the United States are continuing to fall, according to a new government report. Last year, about 18 percent of adults who participated in a national health survey described themselves as current smokers, according to the latest figures. The nation's smoking rate generally has been falling for decades, but had seemed to stall at around 20 to 21 percent for about seven years. In 2011, the rate fell to 19 percent, but that might have been a statistical blip. Smoking is the leading cause of preventable illness and death in the United States, killing more than 440,000 people each year. It's responsible for the majority of lung cancer deaths and is a deadly factor in heart attacks and a variety of other illnesses. Concerned about the stalled smoking rate, the CDC launched a graphic advertising campaign in March 2012 called "Tips From Former Smokers," which was the agency's largest and starkest anti-smoking push. The campaign triggered an increase of 200,000 calls to quit lines, and CDC officials said thousands of smokers probably went on to kick the habit. The CDC did a earlier this year. The new report, from the CDC's National Center for Health Statistics, is from a survey of about 35,000 U.S. adults. Current smokers were identified as those who said they had smoked more than 100 cigarettes in their lifetime and now smoke every day or some days. "This is a real decline in smoking in America. I'm ecstatic about it. It's proof that we are winning the battle against tobacco," he said by telephone from Los Angeles. 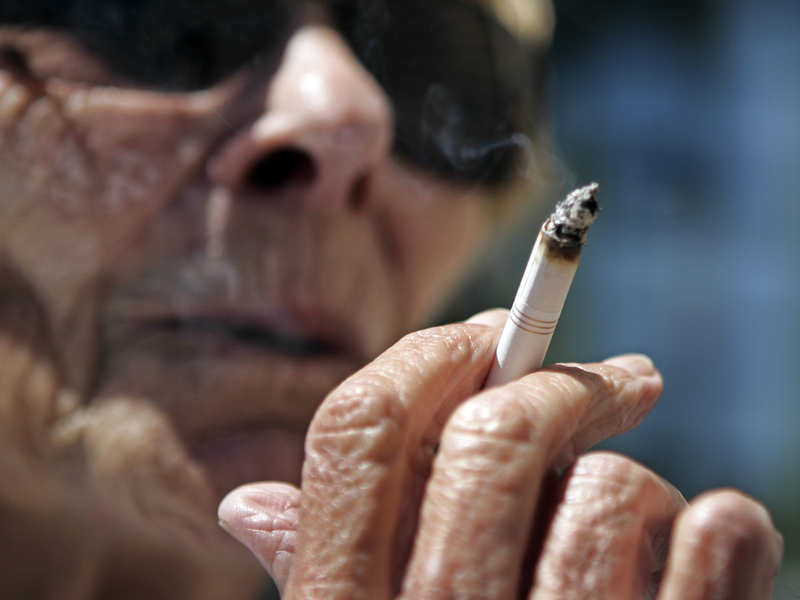 If more smokers are quitting, they could be tacking on extra years to their lives. A Jan. 2013 study in the New England Journal of Medicine found people who quit smoking before age 40 lived as long as people who never smoked at all. Previous research has estimated smoking can cut 10 years off a person's life expectancy. People in the study who quit between ages 45 to 54 and 55 to 64 got an average of six years of lifespan back.